Eating an egg a day can significantly increase growth and reduce stunting by 47 per cent in young children, finds a study. “Eggs can be affordable and easily accessible. It can be a good source of nutrients for growth and development in young children and have the potential to contribute to reduced growth stunting around the world,” said lead author Lora Iannotti from the Washington University in St. Louis. 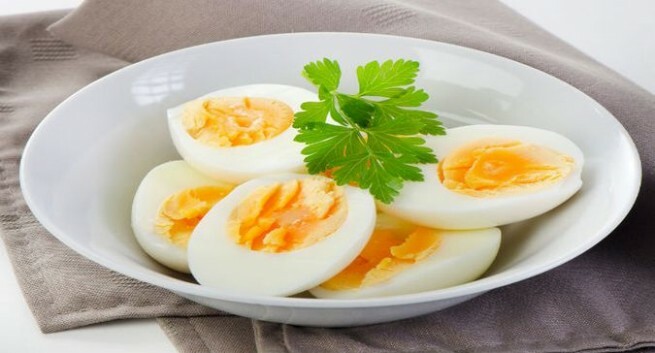 The study, published in the journal Paediatrics, showed that those who ate one egg per day had a reduced prevalence of stunting by 47 per cent and underweight by 74 per cent. “We were surprised by just how effective this intervention proved to be. The size of the effect was 0.63 compared to the 0.39 global average,” Iannotti said. For the study, the team included children aged six to nine months to be given one egg per day for six months, versus a control group, which did not receive eggs. Eggs are a complete food, safely packaged and arguably more accessible in resource-poor populations than other complementary foods, specifically fortified foods, Iannotti said. “Eggs seem to be a viable and recommended source of nutrition for children in developing countries,” Iannotti said.